Su-Man is one of the most amazing facialists I've met. Not only does she have incredible skin, but she's worked with fabulous A-listers including Juliette Binoche who's flawless radiance she looked after for over five years, and she regularly garners rave reviews in the press for her “natural alternative to botox” and “face lift in an hour”. "This stunningly innovative essence, described by Elle magazine as “liquid rose- petals’, delivers a heavenly boost of radiance, comfort and velvet softness. The signature potent blend of antioxidants, hyaluronic and traexamic acids, omegas, ceramides and dragon’s blood extract invigorates the skin, helping diminish the appearance of dark spots, fine lines and wrinkles. 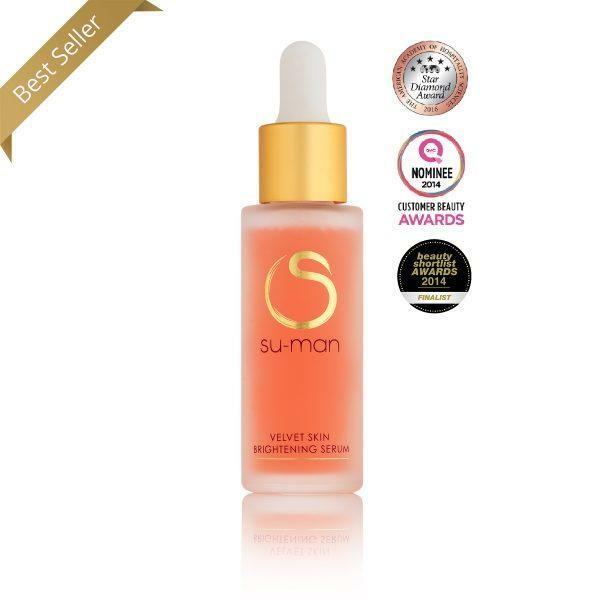 Experience the essential anti-aging elixir for a firmer, brighter complexion that looks and feels instantly re-born."